Panamanian Salsa.Photo courtesy of King Hawkins "Photographer of Salsa"
The wait was worth, Panamanians began to arrive with their berets and shirts portraying their idols, maracas and the key was in every mesa.Las women arrived with greater elegance and between the heat of the salsa capital of Central America, the evidence let see the light show was about to begin. In a table, and Eduardo Olmedo Finch "The Wolf" Molina loosened the chorus with background music and Ricardo "El Marquez" ordered his team. Side By Side, King Hawkins had the best angles for photos. King `Take me a photo!, Quique Moon said as he ran side by side with salsa steel. Quque Luna, Eduardo Molina Finch and The Wolf. Photo courtesy of King Hawkins "Photographer of Salsa"
Before starting, the legendary Luis Gooding came with your camera, patient without delay between claps to look at whoever called him "Captain". 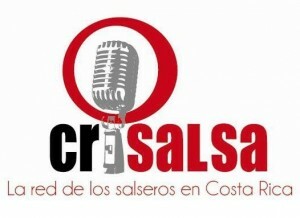 They represent today on the killing of salsa in Panama. They kept the legacy today. Before midnight, the tough get started singly to the scenario introduced by Jimmy Dawson and Richie Viera and accompanied by the cheers of the fans ... Between hits of all times as "Julia", Andy Montañez advantage to remember to bring your first visit to Panama, "Julia" being made by a Panamanian, another of the great contributions that bridge America has given the Salsa in the world. Enough that it sounded "El Nazareno" performed by Moncho Rivera, square Figali to get up completely. Memories to "Brujo de Borinquen" Maelo Rivera, reached the hearts and the party was armed. The rumba continued with "General Partnership" and songs from his latest album "Casting Candela" Panama vibrated, sang, danced. Panama was delivered again to Salsa. Hawkins Photo courtesy of King "Photographer of Salsa"
When it appears that the show was over a choir joined in Another, another, another!, Caused the Puerto Rican artists chanted "Meeting at the Top", from the joy of a magical night in Panama City. It was already three o'clock and a grateful people cheered until all the stars came out. He was the best memory, was immortalized night. Panama graduated with honors. Panama flag planted worldwide as the birthplace of salsa, as a cultural bridge, as Sisters, where salsa networks converge, where the dancer feels. Since those historic concerts of salsa boom of the seventies could join this April 5, 2014, while Latin America thanked the greatest show that he could give the world salsómanos. The PRAS world tour just started, the live Salsa, The Legacy Continues, the legacy lives have much Salsa brava, with the best musicians, the best fans and a way of life made Salsa. I of 05 April was Panama and Puerto Rico to the world.